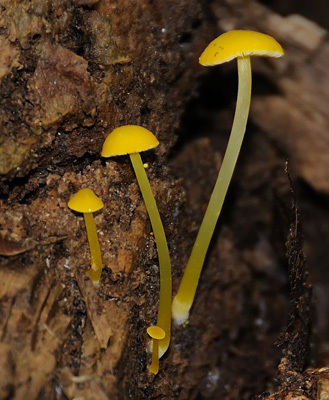 Cap: Small (maximum 1.1"), bright yellow, moist when fresh, broadly convex or bell-shaped with low umbo in age, margin translucent/striate. 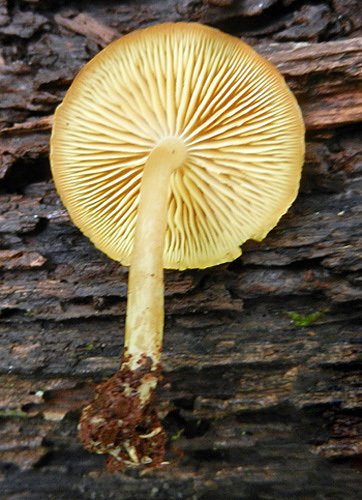 Gills: Whitish, then yellowish, close. 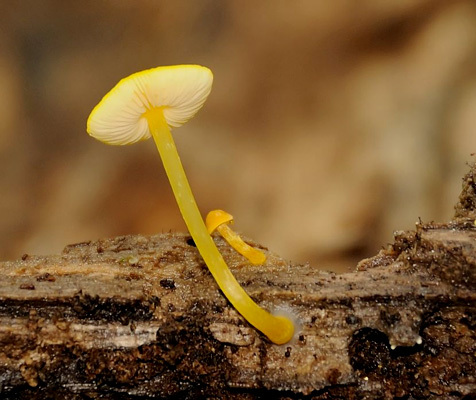 Stalk: Yellow, moist, smooth (J. Solem, pers. comm. ).